In this post, I will show you a method (pretty-much) guaranteed to gain high-quality links to your website from some great blogs without having to pay a penny. I have added a step-by-step video tutorial (20 mins) at the bottom of this post to help you understand and follow this process in more detail. Why do I need links? If you know anything about SEO, you will know that one of the major factors Google uses to determine the authority of your website is the number and quality of links your site has received from other sites. Ideally, those links should be from authoritative sites and from a page with some relevance to your business. Well-known brands will often gain links simply because other sites naturally talk about their products, services or people. 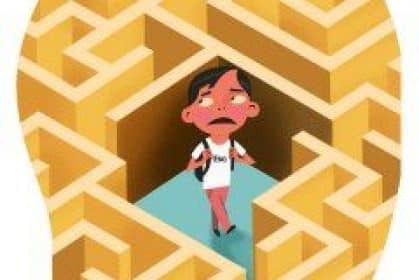 For the rest of us mere mortals, gaining high-quality links can be a real challenge. That’s why links are such an effective method of establishing which pages deserve to appear at the top of Google’s search results. One frequently-suggested method of gaining links is to contact the owner of a popular blog and offer to write a guest post for their site in the hope that you can then link back to your own site within the article. The challenge with guest posting is that popular blogs will often refuse to accept your post or demand payment in return for publishing your article. In this post, I show you a method that incentivises the blog owner to accept your guest post and agree to include a link to your site without requiring any payment. If you perform a search on Google for, say, “best laptops”, you will see several sites publishing laptop reviews which link out to a site selling those laptops. These sites are likely to be using affiliate links. Whenever someone clicks a link on the site and then buys a laptop, the company selling the laptop (the affiliate vendor) pays the blogger a generous commission on the sale. 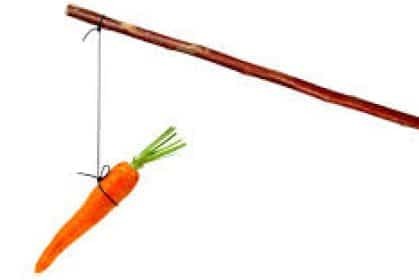 The more people reading the blog post and clicking those links, the more money the blogger will earn. These bloggers are always hungry for good content that allows them to earn more commission. I am going to show you a method of identifying these blogs and then offering to help the blog owner make more money in return for a (non-affiliate) link to your own site. 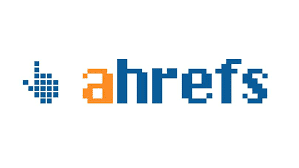 You will need the Content Explorer and Site Explorer tools, both available at Ahrefs.com. Other companies, such as SemRush and BuzzSumo provide similar tools, but separately and therefore at higher cost. This will show us the top-ranking sites offering a commission to bloggers through their affiliate programme. 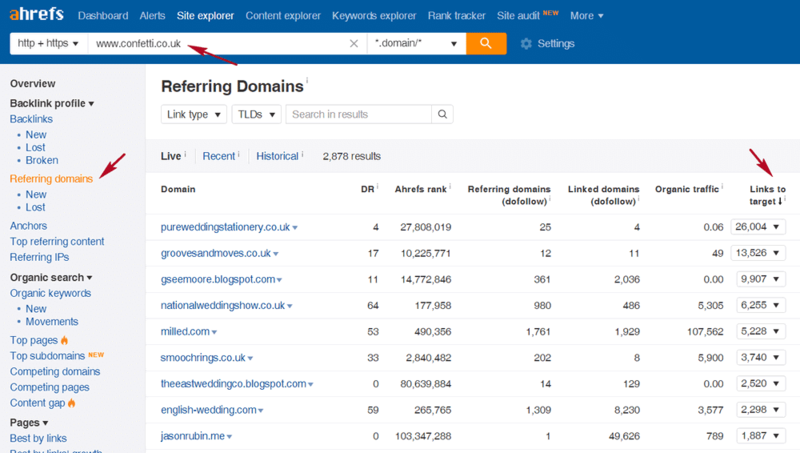 Look up the domain of each affiliate vendor in Ahrefs’ Site Explorer, click on ‘Referring Domains’ and sort by ‘Links to target’. This shows us the sites linking to the vendor’s website. 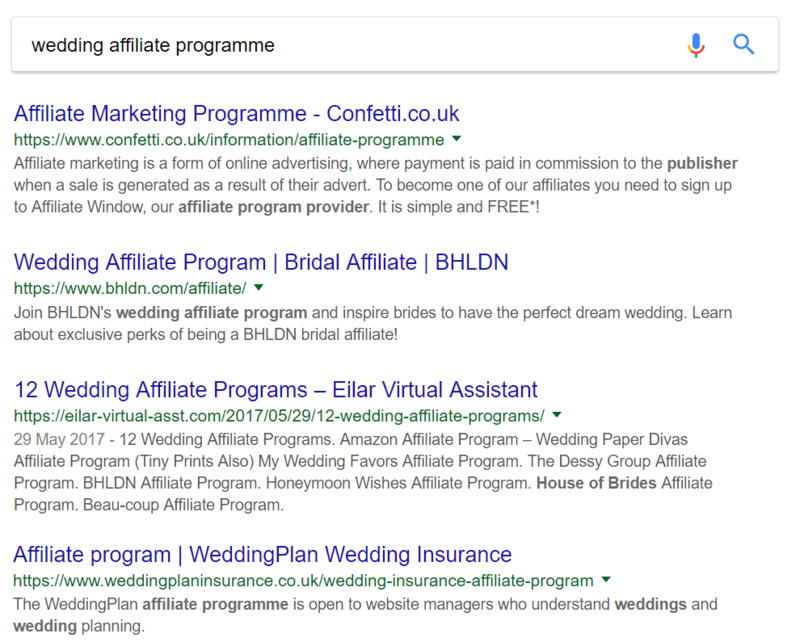 Most of these sites are likely to be bloggers participating in the vendor’s affiliate scheme with several articles containing an affiliate link to the vendor’s site. Step 3) Find the most authoritative blogs. 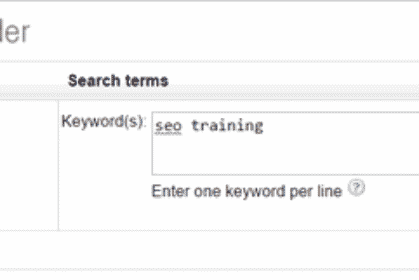 Look through the list for blogs with a strong Domain Rating and several links to the target. Step 4) Research the best-performing content on those blogs. 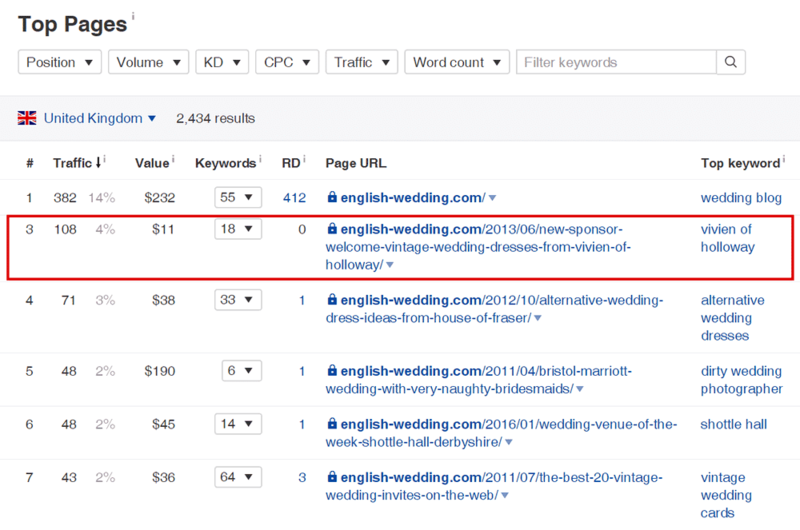 Enter the blog’s domain name into Ahrefs’ Site Explorer and look at the ‘Top Pages’ report. 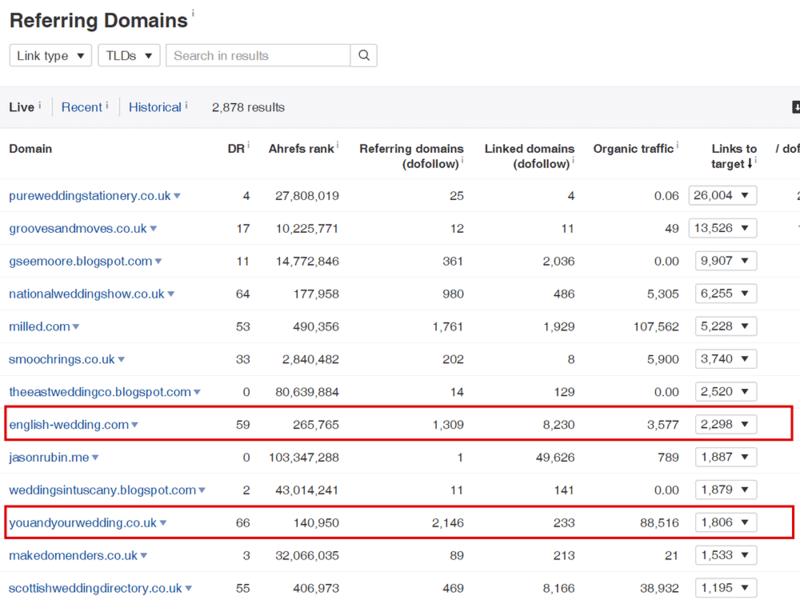 These are the pages on the blog performing best on Google. Try to find posts on topics likely to be linking to the affiliate vendor. 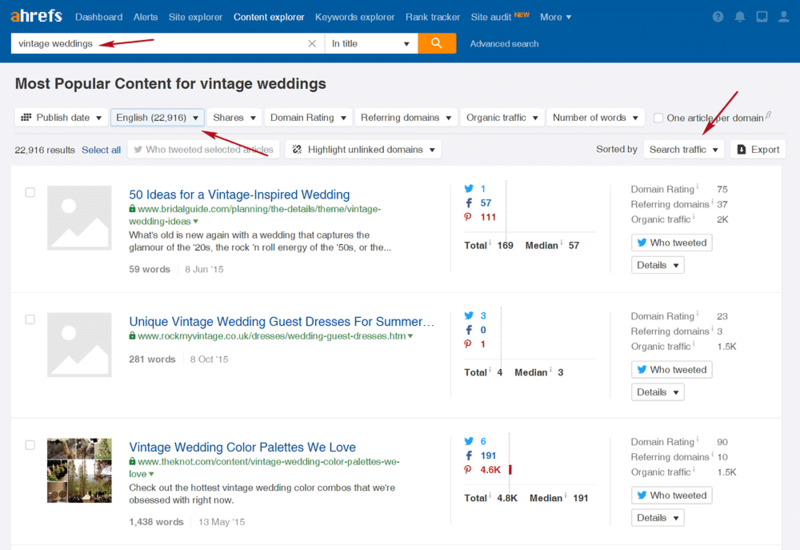 Using Ahrefs’ Content Explorer tool, find published content on similar topics receiving a good volume of social shares and organic traffic. This will give us some great ideas to pitch to the blog owner. • On a topic similar to one already performing well for the blog. • On a topic receiving plenty of shares/traffic. • On a topic broadly relevant to the affiliate vendor and your own business. 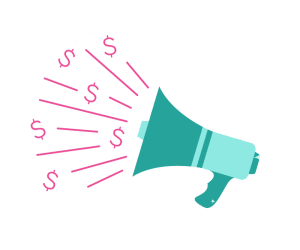 I would like to propose a guest post to help you earn more affiliate commission from [affiliate vendor]. The post would be on [proposed post title], a topic that has previously performed well for you at: [URL of their successful blog post]. I am happy to include several mentions of [vendor’s name] within the post to give you the opportunity to add your own affiliate links to their site. I ask only that, in return, I am permitted to include a relevant, do-follow link to my own site within the article. Most of the guest post requests that blog owners receive use a poorly-written, generic template that shows little understanding of their blog and provides no compelling reason for them to link to your site. Using this method, you are demonstrating to the blog owner that you have researched their best-performing content and provided a strong incentive to accept your post. When testing this method myself I received a positive response from 26 out of 30 blog owners across three different industries. They all agreed to include a do-follow link within the article. Although your own success rate may vary, this is still likely to be one of the most effective methods you can use to gain relevant links to your site from high-authority blogs.. Please use this technique carefully and selectively targeting only high-authority, relevant blogs with well-written, informative and non-promotional content. This video shows the entire process described above in detail.